Tech-based budget hotel startups have rapidly gained traction over the past couple of years, as they realised the deficiency in standards and quality in the vast segment for budget stay and used their technical acumen to fill the gap. They also have attracted a lot of funding from investors. 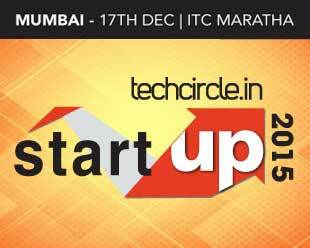 The Mumbai edition of Techcircle Startup will take a comprehensive look at the rise of the startups in the budget hotel segment and seek to find out what the future has in store for them. By its very nature, the budget segment cannot have many players in the long run and can expect some consolidation to take place. Therefore, there is a need to plan meticulously for the ventures to survive beyond the initial boom. With hospitality being a brick-and-mortar setup, these startups also need to figure out how to better use technology to resolve the logistical issues and improve margins in the longer run. Techcircle Startup will provide an ideal platform to discuss these trends and challenges. Various other topics will also be discussed at the conference. The event will bring together early-stage startups, angels, incubators, mentors, and India's most active VC and PE funds in and around Mumbai. The conference will offer attractive platforms for investors and entrepreneurs to connect with each other. These include Startup Walkabouts, Startup Fair, Spot Hire, and Entrepreneur-Investor meet-up. There will also be a unique session for startups to pitch their ideas to investors. Food-tech: Scale up or go under? E-groceries: Is there life beyond introductory discounts? Fin-Tech: Technology and the unbanked. Hyperlocal services: Can hyperlocal go beyond groceries/food? Digital content: How to create sticky content. Budget stays: Mapping the sweet spot. Is angel/Series A investment the benchmark of success? Salaam Bombay: Why set up and stay in Mumbai, despite the likes of Quikr. To participate, register now or write to Kanika at register@vccircle.com/ or call 0120-4171111. For branding and sponsorship opportunities, write to Nandini at nandini.a@vccircle.com. Send us your views, ideas and suggestions on Twitter; use our event hashtag: #tcstartup.